The Bar Mitzvah /Bat Mitzvah is an important step in your son or daughter’s passage into adulthood. The event is a memory that your child will carry with them into adulthood. Picking the right location for the event is important, as it provides the setting and atmosphere for this special day. Make sure that you’re picking the right location where you can expect superior service, a spacious area and fine dining. A fully customizable venue that can accommodate your child’s preferred theme. Make it as unique as your child is! One of the largest event centers in the Madison area, with over 7,000 square feet of space, ready to be tailored to your needs. Room for 550 guests, so no one needs to be left off the guest list. Flexible menu options prepared by professional, passionate culinary staff. Your own event planner who will walk you through every aspect of your event, from planning to cleanup. At The Heights, we understand that such an important day should be handled by a professional, caring staff. Call The Heights today to speak with one of our event planners to get started. We want your Madison area special event to be a smashing success. So if you’re bringing together a ballroom bash or arranging an anniversary party, let us facilitate your festivities. For large events with more than 130 guests, click on our link to “Make a Reservation”. 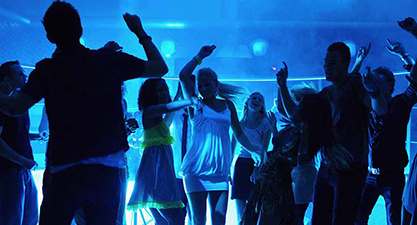 We will get back to you as soon as possible to discuss the details of your event. We pride ourselves on being a one-stop destination in the Madison area that allows individuals to host a memorable event without the headaches of juggling a thousand different tasks. Leave the planning and execution to us – so you can focus on what’s important. Be sure to “like” us on Facebook for the most recent information and updates. At The Heights, we look forward to providing your business with excellent service to make your next Madison-area corporate event memorable, yet easy to plan. Located just outside of Madison, our convenient Verona location is just minutes from many large area businesses. We are the ideal location for your conference, day meeting or awards dinner. We feature a state of the art audio visual system and high speed wireless internet access to make sure your presentation or meeting makes maximum impact. Our catering consultants will provide you and your guests exceptional service and a professional, unforgettable experience. With the ability to accommodate small groups up to 300 individuals, we also provide ample parking . 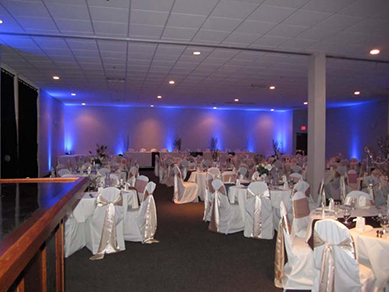 When you add top-notch catering and entertainment services, The Heights is an ideal event center for any corporate event in the Madison area. A quinceanera is the second most important day in a girl’s life – second only to her wedding. It is more than just planning a great banquet, which includes a religious and symbolic cultural right of passage for a young lady. At The Heights, we’ll help you make your daughter’s quinceanera both magical and memorable – at a budget you can afford. We take every effort to cater this special day to your exact specifications with a fully customized venue, a large and exquisite menu, and room for 550 guests. And, we’re one of the only Madison event centers that specializes in quinceaneras. You’ll work with one of our event planners, who will help plan and handle your event so your daughter’s special day will be beautiful – so you can focus on what’s important: your daughter’s quinceanera. Please take a quick look at our Quinceanera Planning Guide. As soon as you are ready. Please use our Contact Form, Email, or by Phone to speak with one of our event coordinator today!